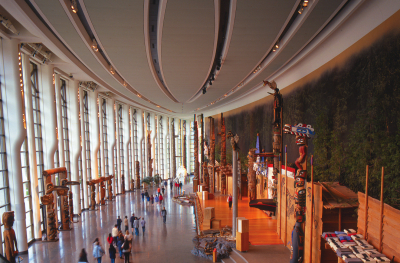 The month of November in Canada's Capital, Ottawa, is an especially meaningful time for Canadians, and one that offers exceptional opportunites for school groups and student travel. Hotels, restaurants and student-friendly attractions in Ottawa offer dynamic programming for educational tours around Remembrance Day. Your group will recieve a themed guided tour of the Capital, with special emphasis on Canada's military history and commemorations. 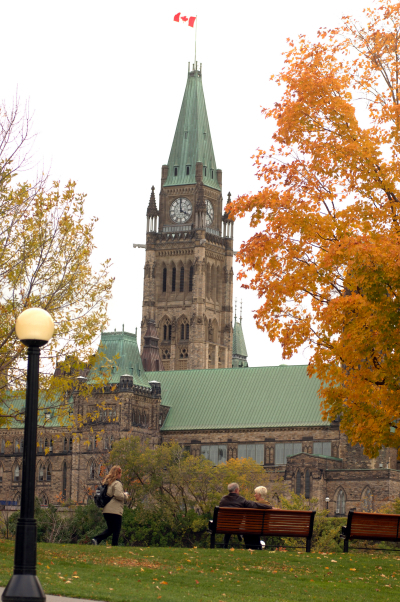 Take a guided tour of Parliament, and enjoy a spectacular view from the Peace Tower. Start with a visit to the Supreme Court of Canada. The Supreme Court of Canada interprets the Canadian Constitution and is the highest court of appeal in the land. Meet your local Ottawa tour guide and enjoy a city tour of Ottawa, including featured stops at the Peacekeeping Monument and the National Military Cemetery for the Canadian Forces. Dinner included at the Hard Rock Café. One nights stay at a AAA-rated 3 diamond hotel with indoor water park. On November 11, attend the annual Remembrance Day Ceremony at the National War Memorial, and watch the solemn proceedings, courtesy of the NCC and the Royal Canadian Legion, with the support of Veterans Affairs Canada. Choose to visit the Diefenbunker, Canada's Cold War Museum. or the Canadian Aviation Museum. Take a guided tour of Parliament, including Centre Block. Students tour the focal point of Canadian democracy, located in one of the most beautiful legislative buildings in the world. Subject to availability, the Memorial Chamber may also be visited. This is dedicated to the memory of Canadians who have died in military service. Then, students may enjoy a spectacular view from the Observation Deck at the top of the Peace Tower. This Canadian Landmark was built in the 1920's to honour the dead of the First World War. Free Orientation Activity: an exciting and interactive orientation program hosted by a costumed facilitator, which features compelling stories and hands on activities with artifacts. Witness to History: special programming exclusively for students, Meet and interact with a veteran, and hear compelling personal stories. Bank of Canada Currency Museum: War and Money Tour - guided tour with emphasis on money in war-torn countries, and focusing on how different objects are used as currency during conflicts and how counterfeit money has been used to destabilize governments. *Prices will vary depending on dates of travel, hotel choice, number of people in your group, etc.